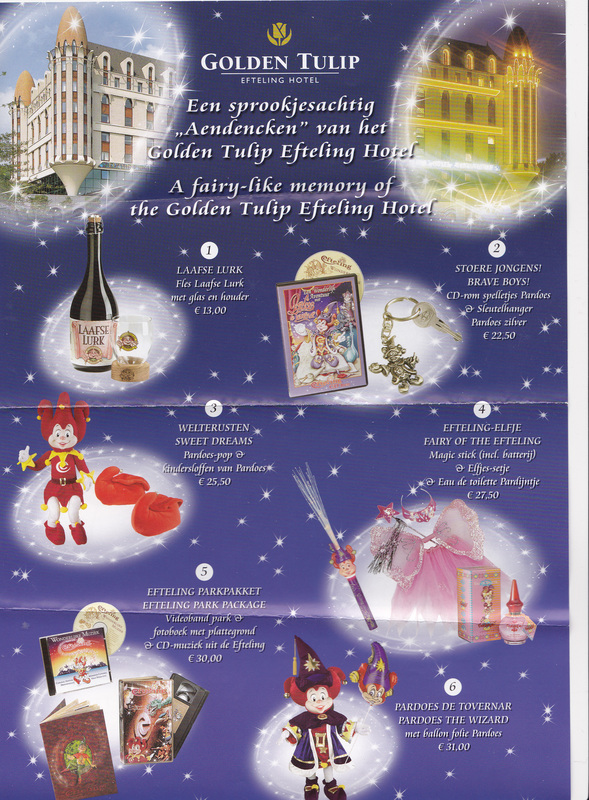 Does anyone remember when the Efteling Hotel was a part of the Golden Tulip Hotels group? 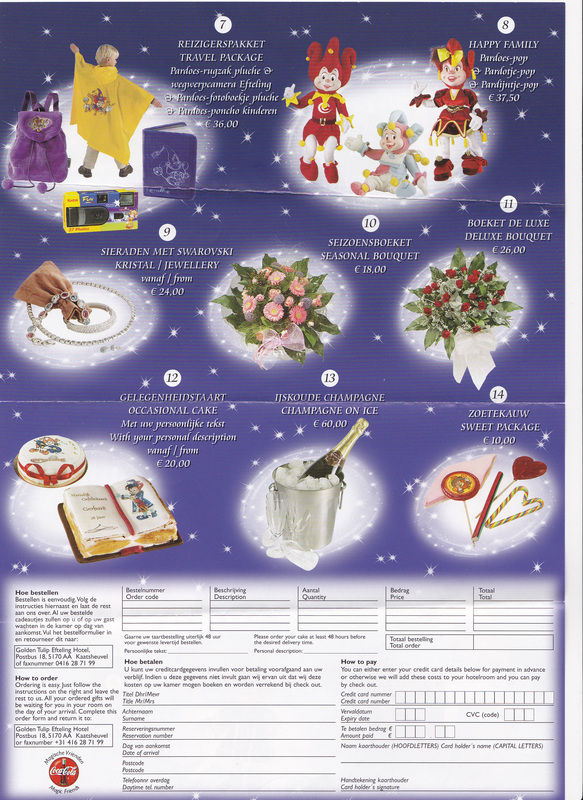 It was many years ago now, but while sorting through some old papers we found this leaflet advertising Efteling merchandise (click images for a closer look). Check out the Swarovski jewellery! The celebration cakes also look really nice, and who can pass up Laaf beer?! We also found some old maps which state that Efteling is the ‘funniest’ day out in the Netherlands. What a strange word to use to describe Efteling!